Franchisors and professional advisors to the UK franchise industry wishing to be accredited must put themselves forward to the bfa to be tested against its strict and extensive criteria. 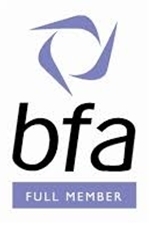 Only if they successfully pass accreditation are they then able to join the bfa as a member, gain access to the benefits of membership and become represented by the British Franchise Association. Please note however that membership of the bfa, at any level, does not provide any warranty as to the likelihood of achievement of commercial success by any franchisee. As with any business venture you must thoroughly investigate every franchise proposal before committing yourself. There are also Provisionally Listed Companies at the bfa. These are at the beginning of their development in franchising. There is a real business up and running where end products and services are being sold successfully to consumers. The franchise agreement is sound, and the company has committed itself to develop the business in accordance with bfa industry standards. These are not listed on this site at this time.